An international conference on the use of semantic data, linked data and microformats implementation was held in Prague on September 4th to 6th 2013. Download Conference Proceedings optimized for e-Reading. The Semantic Web in Business Conference builds a bridge between academia and business. Ideas about the Semantic Web originated primarily in universities and research centers. However, like the idea of the web itself, the idea of linked data and the Semantic Web aims to change the world of business and social networks as well as academia. The conference demonstrated some of the possibilities offered by the Semantic Web. The conference was divided into practical workshops for beginners and advanced short talks focused on specific issues and case studies. The event's admission was free, under the condition of prior registration. This hands-on workshop introduced ways to describe website content as structured data using markup embedded in HTML. Exposing structured semantic data on the Web can serve as digital advertising through third-party applications, such as search engines or social media. The techniques of advertising through structured data on the Web was presented through the example of job postings described in terms of the Schema.org vocabulary. Prerequisites: This was a beginner-level workshop that required only knowledge of HTML. With W3C's Linked Data standards, organizations can get a unified view of their various data sources, and combine them with the growing body of open data that is published on the Web. We showed how these standards can be used to mash up data from spreadsheets and databases in web­based tools. Prerequisites: Ability to work with CSV files. Familiarity with some data transformation tools (e.g., SQL) and data modelling concepts (e.g., controlled vocabularies or UML) is a plus. Current Business Intelligence solutions tend to exploit numerous domains and data sources, such as eCommerce platform logs (infrastructure), user trails from social networks (marketing), and supply chain management (logistics). However, contemporary business analytics tools do not exploit the full potential of available data sources related to implicit connections between datasets. Graph-based algorithms can generate valuable insights and add value by exploiting the structure/connections between different datasets. Graph-based analytics can provide both high-level KPIs (e.g., higher conversion) as well as personal insights (e.g., higher individual sales with product recommendations). This tutorial introduced recent advances in graph-based business analytics approaches that exploit large social and interest graphs. We showed how to use and link external (Web) datasets with internal data sources to increase BI capabilities. You have learnt how to use existing tools to access multiple graph data sources and how to build a simple recommender system to provide personalization capabilities. Prerequisites: Intermediate technical level: basic understanding of BI tools/dashboards. Executing simple MySQL (or similar) database queries. Basic familiarity with any scripting language very welcome. Panel discussion with the participation of international project partners from Ireland and Netherlands has driven audience under the guidance of a moderator Jindřich Mynarz in not well mapped land of Semantic Web, its past and possible future visions. Hans Weigand | Watch presentation online. This presentation addressed the question of why innovation projects often fail and elaborates on how conceptual modeling (in particular, a variant of e3-value named value encounter modeling) can be used to support social innovation projects. Lukasz Porwol | Watch presentation online. The proliferation of Social Media analytic tools in recent years opens new opportunities for businesses to reconnect with their customers. Many current solutions explore existing APIs and export vast amounts of data without any extra effort put into consolidating relevant data from multiple sources. In this talk, we elaborated on the use of Semantic Web technologies to integrate data from wellestablished social networking platforms in Social Media Linked Data Space (SMLDS). We discussed how to effectively explore the created knowledge graph. We showed the benefits of SMLDS based on a recent implementation for a brand reputation tracking project. Fadi Maali | Watch presentation online. Data plays a crucial role in societies, governments, and enterprises. Data science is increasingly utilized in supporting data-driven decisions and in delivering data products. Scientific fields such as bioinformatics, astronomy, and oceanography are undergoing a shift from “querying the world” to “querying the data” in what is commonly referred to as e-science. RDF, a flexible model for data on the Web, has a great role to play in enabling this revolution. In this talk, I presented some recent efforts in utilizing RDF data in analytics tasks and discuss the relevant challenges and opportunities. The World Wide Web has become an important platform for human. It is clear that people are very dependent upon its existence and application availability on top of the Web. As such, demand for “a better Web” is getting higher and higher. While the deﬁnition of “a better Web” may vary and complex, trend shows that reactivity of Web application is getting more important. As the demand for contextual, high-speed processing, scalable, responsive, and resilient Web is increasing, the Reactive Programming paradigm is gaining its momentum as this paradigm mostly aimed towards building Reactive Application. Reactive Rules which comprise of rule language and rule engine are considered important also to realize the Reactive Web. Jan Kučera | Watch presentation online. Linked data represents technologies, standards, and methods that allow the organization and interlinking of data from different sources across various domains. Although the application of linked data principles promises significant benefits, its adoption by businesses is sometimes seen as rather slow. In this talk, we discussed the benefits associated with linked data, and we presented a set of business models that might be adopted by linked data providers and other actors on the linked data marketplace. Recommendation systems have become extremely widespread recently, especially for user-friendly web environments such as Amazon or Netflix. In this talk, we introduced recommendation systems and gave possible directions on how to use them for job matching. We first presented the different techniques, then we presented a taxonomy of possible data sources and their extraction using Semantic Web, and finally we identified the possible items to be recommended. For each of these steps, we illustrated with examples from the job matching domain. We finished with a specific use case demonstrating the usefulness of recommendation systems. Josef Šlerka | Watch presentation online. The concept of the semantic web is present in information science discourse for more than 13 years and was conceived as a kind of counterweight to statistical methods for analysis of web corpuses, which stood behind the success of companies such as Google or Yahoo. In contrast to a statistical approaches it should lead to a better machine processing of data on the web through semantic layers (and formalization) added by man. In recent years, however, we are witnessing a gradual convergence between the semantic and the "statistical" web. Thanks to the efforts of initiatives such Schema.org there is a gradual progress not only in the standardization of the micro-data, but also to their massive deployment. Richard Cyganiak is a Researcher at DERI, a research institute based in Galway, Ireland. He is a Linked Data Technologist and works mainly on web technologies for managing data. He co-founded the Pedantic Web Group, which connects people interested in fixing broken data on the Semantic Web. He is also dedicated to relational data mapping and relational schemas to RDF and OWL. His interests include: Linked Data, RDF, data integration, Go, photography, hiking, and table football. 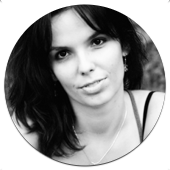 Anna Dabrowska received her MSc in Applied Mathematics from Gdansk University of Technology, Gdansk, Poland, in 2007 and gained a certificate of completion in Small Business Economics and Management (MSc thesis to be submitted) from the same university in 2008. 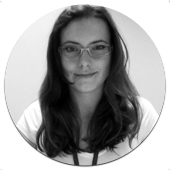 She is currently a Researcher at DERI in Galway, Ireland, where she works in the Linked Data Research Centre. Her research interests include Linked Data, Semantic Web Technologies, Decision Making and Decision Support Systems. 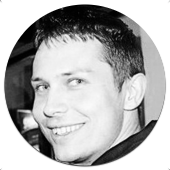 Maciej Dabrowski is a Postdoctoral Researcher at DERI and an Adjunct Lecturer at the J.E. Cairnes School of Business & Economics. His research at DERI is focused on various aspects of Decision Support Systems, Recommender Systems, and Personalization, and also on Social Software. He is currently working on real-time integration and recommendation of enterprise social content in collaboration with Cisco Systems, with a focus on enabling better information sharing and integration for various decision-making activities in a large organization. In his doctoral thesis, he investigated the effects of the use of information extracted from free-text sources, such as product reviews or microblogs, on various indicators of decision-making performance. He also led and participated in many projects in the Semantic Infrastructure Lab in DERI, such as MarcOnt, a collaboration platform for building ontologies, and JeromeDL, a social semantic digital library. Benjamin Heitmann is a Ph.D. Student at DERI. 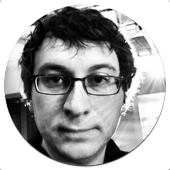 His current research interests include personalization and recommender systems, privacy, and software architecture for the Web of Data. 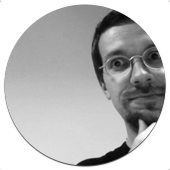 He focuses on cross-domain personalization using graph-based recommendation algorithms, as well as using Linked Data and Semantic Web technologies for Big Data applications. Jan Kučera received his master’s degree in the Information systems and technologies at the University of Economics, Prague and he is currently a Ph.D. Student at the same university. He is interested in various aspects of Open Government Data (OGD), e.g. data cataloguing, trustworthiness and quality of OGD or its legal and economic aspects. He also co-authored the Open data cataloguing strategy of the Czech public administration. 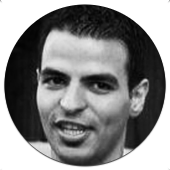 Fadi Maali is a Ph.D. Student at DERI. He is interested in data and all activities related to unlocking the full potential of (big) data. He is currently focusing on how Linked Data and Semantic Web technologies might be utilized in this regard. He is a co-creator of DCAT, an RDF vocabulary for government catalogs. He co-developed the RDF extension to Google Refine. Jindřich Mynarz is a Ph.D. Candidate of applied computer science at the University of Economics, Prague. As a researcher in the Knowledge Engineering Group, he explores linked open data with a focus on the intersection of public procurement and e-commerce, looking into the ways in which semantic web technologies can make public sector data more useful. 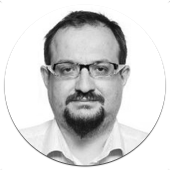 Jindřich is a founding member of both OpenData.cz - an initiative for a transparent data infrastructure - and of the Czech chapter of the OKFN. In addition to linked open data, he’s enthusiastic about ambient and dub techno music and live coding. Ana Osman is a Student at Tilburg University, at the moment on an internship in France, and also a Recommender Systems Analyst at SAP. She is a multilingual IT Professional involved in a multitude of international projects across Europe. She focuses on UML, software and web development and software projects, XML, CMS, web services, programming and functional analysis. Her interests include: IS Architecture, Functional Analysis, Cross-cultural Collaborations. Also known as Padáček. Born in the Czech Republic; now based in Prague and Hranice. Student of computer science and economics. Establishing a startup company Some move in areas of social media, customer care, and service quality for the transportation market. Providing Vendavo (SAP PMM) services at Vendavo CZ. Involved in the Semantic Web and social networks research at the Knowledge Engineering Group. Open Data and Semantic Web enthusiast, active developer, supporter of Semanti–CS and OpenData.CZ initiatives. Traveller, photographer and spotter, independent railway market journalist for the railway e–magazine ŽelPage, editor–in–chief, administrator, and representative. Lukasz Porwol is a Ph.D. Researcher at DERI, and also a Consultant, Analyst, System Designer, Developer and Project Manager. He is particularly interested in Semantic Web technologies, eGovernment, Social Media, and Human-Computer Interaction. His research work focuses on leveraging social media, games, and mobile technologies to support effective dialogue between citizens and decision-makers. 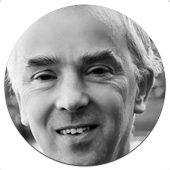 He is an active member of the Galway Transport Advisory Board as an IT expert and is the IT Director for the Computer & Communications Museum of Ireland Limited. He has been a finalist in the Apps4Fingal mobile app competition and was co-coordinator of the official app project development for the Volvo Ocean Race 2012 final in Galway. His background combines solid engineering and scientific knowledge (MSc in Computer Science and Eng. in Information Technologies) with good management and PR skills. Bambang Purnomosidi is a Ph.D. Candidate at the Department of Electrical Engineering and Information Technology, Faculty of Engineering. Currently, he is a lecturer and researcher at STMIK AKAKOM. His research interests are somewhat related to Software Engineering and Web Science. Other fields which usually take his attention are Knowledge Management, Programming Languages, Operating System, Distributed System, Digital Libraries, Enterprise Information System, Organizational Behaviour, Organization Aspect of Information System, Community of Practice, and everything in between. 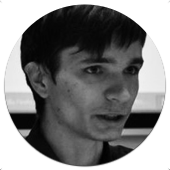 Josef Šlerka is a Ph.D. Student of information science, head of software development at Ataxo Interactive, and a new media teacher at Charles University. All his interests intersect at one point: symbolic analysis. 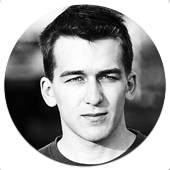 At present, Josef focuses primarily on machine analysis of natural language and various aspects of social media. In addition to his scientific work, he participates in the organization of the Šrámkova Sobotka festival of Czech language and is a member of the Academic Senate of Charles University. Hans Weigand is an Associate Professor at the Department of Information Management at Tilburg University, where he teaches Computer Science subjects such as Databases and IT Infrastructure. 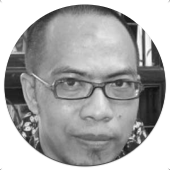 His research domain is Information Systems, and he is especially interested in technology support for communication in organizations and networks. He considers organizational and technical aspects of networks and how they interact. 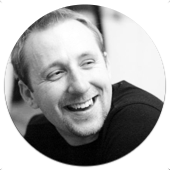 He is an expert on Language/Action Perspective (communication modeling) and e3-value (value-based business modeling) and investigates adaptive service-oriented architectures. He is also the Secretary of the Board of the Dutch-Belgian chapter of AIS (BENAIS) and a board member of the SIKS research school. He studied Computer Science and Mathematics at the Free University in Amsterdam. His doctoral thesis was about the application of linguistic theory in knowledge engineering. His interests also include business processes, logistics, information management, linguistic information systems, e-commerce, and the mimetic theory of René Girard. Conference took place in Era svět.